A 3rd place finish is an awesome achievement! These Metallic 3rd Place Awards have a fun and shiny metallic '3rd' in the center of these awards, and a strong metal figure makes them sturdy. 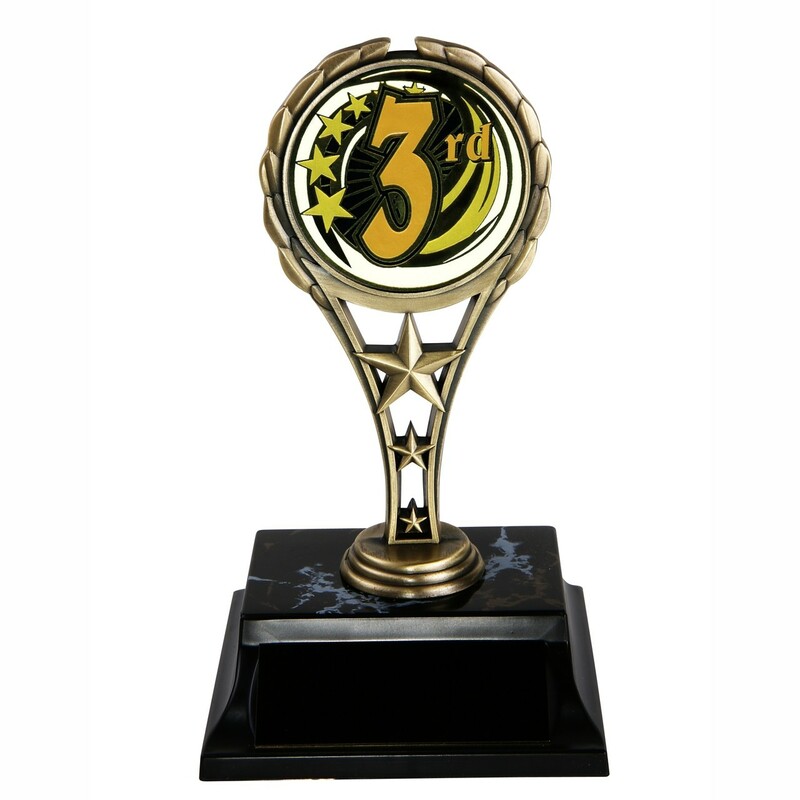 Measuring 7 inches tall, add your 3 lines of personalized engraving to make these awards unforgettable!